On Friday, Rove appeared on The O’Reilly Factor and mocked Glenn Beck’s announcement earlier in the week that he was leaving the Republican Party. “The Republican Party is largely united on its philosophy,” Rove told O’Reilly, an assertion with which many conservatives vehemently disagree. “[Glenn Beck] says he’s not going to give a dime to the Republican Party. I went to Open Secrets.com, which keeps a data base of people who contribute to federal candidates and federal committees. I entered the name Glenn Beck… There is no Glenn Beck who worked for Fox or now works for the Blaze who is a political contributor. With all due respect, he’s been saying this [that the GOP establishment is flawed] for years. It’s had an impact. His followers will follow him,” Rove concluded. Beck responded by unleashing a jeremiad of epic proportion against Rove in an open letter posted on Facebook Saturday morning. “You want to rumble Rove? Come on to my show and let’s have it out,” Beck challenged Rove. “Bring it on. I would love to take you on WITH YOUR RECORD AND THE RECORD OF THE GOP,” Beck shouted in capital letters. “You hung yourself on O’Reilly. By using my words to mock me, the audience heard my words. I would bet a good portion agreed with me,” Beck punched back. Then Beck got very personal. “You guys have the spine of a worm, the ethics of whores, and the integrity of pirates,” Beck said of the Republican establishment and consultant class. By attacking Beck at a time when he had seemingly removed himself from the dialogue, Rove, the vaunted political strategist and “architect” behind every GOP Presidential campaign since 2000, gave Beck’s criticism of the GOP new energy and much higher visibility. Rove, whose own rise to prominence has been closely tied to the political fortunes of the Bush family, also made Jeb Bush’s likely Presidential campaign once again a lightning rod for conservative attacks. 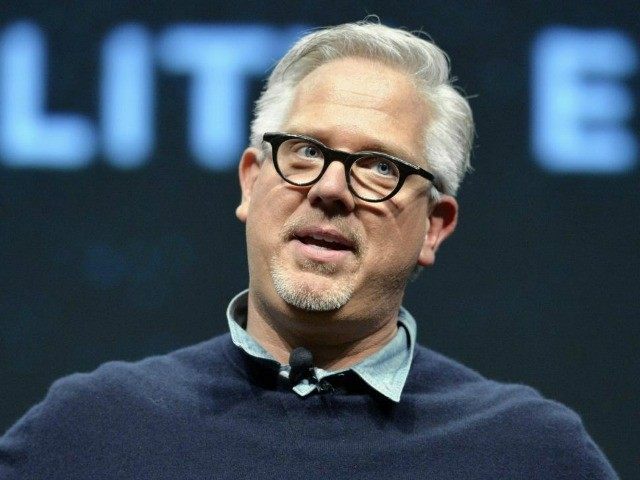 “Glenn Beck’s rant in response to Rove’s criticism of him leaving the GOP was spot on,” conservative activist and entertainer Lloyd Marcus, “the musical Paul Revere of the Tea Party movement,” and chairman of the Conservative Campaign Committee tells Breitbart News. “Beck brilliantly and passionately chronicled the Republicans’ years of betraying conservative principles and values they promised voters they would champion. I found myself cheering Beck on. Like anyone who is really POed and on a roll in a rant, I kept wanting to add to Beck’s list of the GOP stabbing us in the back,” Marcus tells Breitbart News. “And another thing!” Marcus says he would have added to Beck’s Saturday morning tirade. “Despicable,” Marcus said of the GOP establishment’s conduct in the June 2014 Mississippi Senate primary runoff election that saw the well past his prime 77-year-old incumbent, Senator Thad Chochran (R-MS), defeat McDaniel. On Friday, writing at the American Thinker, Marcus joined other conservatives who took exception to Beck’s announced departure from the GOP. But Rove’s ill advised attack on Beck Friday snatched defeat from the jaws of victory, an oft heard complaint lodged against the Republican consultant class of which Rove is the most powerful and prominent member. “We conservatives are fed up; tired of being used and abused, suffering Battered Conservative Syndrome,” Marcus says. Other conservatives who took exception to Beck’s departure from the GOP shared Marcus’s sentiments. “I’m with Glenn — this is great entertainment, vintage stuff. 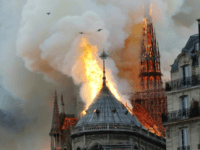 As a longtime listener, I would love to hear less talk on the show about Armageddon and more about Karl Rove getting filthy rich on the backs of the Republican base who would be screwed if they voted for yet another Bush,” New England talk radio king Howie Carr tells Breitbart News. Earlier, Carr took exception to what he called Beck’s “premature evacuation” from the GOP. “One point that Karl and his Rovians seem to miss this that Beck is vicariously speaking the thoughts of a very large number of people,” Virginia Tea Party activist Mark Llloyd tells Breitbart News. “Conservative have a distinct understanding that in America the people do not elect leaders to tell us how to think and feel. We are perfectly capable of thinking and feeling on our own. Our founders gave us a Republic where we elect people to represent us in every office. When they cease to represent us we toss them out and find someone who will,” Lloyd says. “Karl Rove and his K Street cronies have ruined the Republican party,” Drew Ryun of the Madison Project tells Breitbart News. “Rather than supporting candidates that run on principle and conservative policies, Rove has pushed for liberal Republicans that only care about power and appeasing the D.C. special interests,” Ryun says. “Glenn is right to say that Rove should be worried about the American public,” Ryun adds. 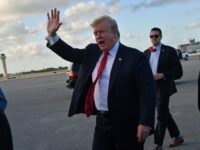 “The GOP establishment’s record of cowering to Democrats and refusing to defend the Constitution will not be forgotten by the conservative grassroots that inevitably decide the electoral fate of the Republican Party,” Ryun concludes. “Glenn Beck is right about this issue, though is he isn’t really calling out Rove on the right point,” Tea Party Nation founder and Washington Times columnist Judson Phillips tells Breitbart News. “If the 2016 Republican nominee listens to Rove or any of the other GOP cabal of consultants, the nominee will lose and lose badly. The only way a Republican wins in 2016 is to fire every consultant, throw away their playbook and start from scratch,” Phillips says. Phillips is clear as to which Republican contender he favors. “If anyone other than Ted Cruz wins the nomination, this is what we will see. It will be just another loss engineered by GOP consultants who will make millions on failure,” he tells Breitbart News. Ironically, just days before he announced his departure from the Republican Party, Beck, a big fan of the junior senator from Texas, had Cruz on his program and virtually begged him to run for President. Cruz is widely expected to announce his candidacy for the Republican nomination for President in 2016 on Monday. Support for Cruz —or any conservative candidate other than establishment moderate Jeb Bush—to win the Republican nomination for president is a rallying point around which many conservative Beck watchers agree. “If we leave the GOP, there ‘ain’t’ nowhere else to go,” Marcus tells Breitbart News. “There is not enough time between now and 2016 to get a third party up and running. Thus, we ensure a Democrat winning the White House,” Marcus astutely points out. “That Democrat [elected President in 2016 due to Republican infighting] will not play like Democrats in the past,” Marcus notes. “Obama has taught them that the public is so dumbed down; ignorant of our history, their rights and the Constitution, along with a GOP paralyzed with fear of negative press and public opinion, a far left radical president can pretty much do wherever he/she wants; follow Obama’s lead pushing through every item on the socialist/progressive wish list,” Marcus says.